Partner Phyllisann Polizzi Kalenka specializes in Estate Administration, Estate Planning, Adoption and Real Estate Law and Not-for-Profit Law. 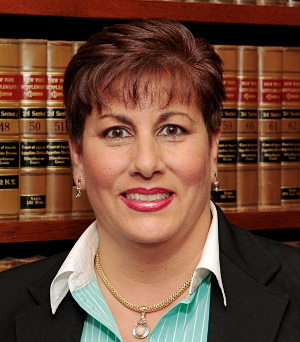 Ms. Kalenka began her legal career as an associate in the law offices of Spellman & Walsh in 1990. Throughout her years of practice, she has worked with numerous individuals, families, trusts, financial, and not-for-profit institutions. Her practice concentrates in the areas of estate planning, estate administration, residential real estate, agency and private-placement adoptions and not-for-profit law. Ms. Kalenka has presented seminars on estate planning and been appointed by the Nassau County Surrogate’s Court as a Guardian Ad Litem to represent the interests of disabled or incapacitated individuals in estate and adoption proceedings. Ms. Kalenka takes pride in being able to guide clients through the life altering events associated with estate planning, estate administration matters, adoption proceedings and residential real estate transactions. Ms. Kalenka also has experience negotiating contracts involving varied issues unique to not-for-profit entities, working with administrators to develop and revise policies, and addressing issues to ensure compliance with federal and state statutory and regulatory requirements relevant to not-for-profit entities.